The Tony Little Scholarship intends to provide an opportunity for cultural experiences to non-chinese WLSA associate students in need of financial support. They will have the chance to join an Internship, Exchange, Semester Abroad Program in China or the WLSA Student Conference. Every year, WLSA hopes students utilize this opportunity for a rich cultural experience. I really wish I had known about the World Leading Schools Association earlier. The work we are doing here is truly phenomenal and the theme that has been selected this year couldn’t have been more relevant. What better way to celebrate youth, diversity and the state of being unconditionally human? Thank you, WLSA. The program selected by successful applicants determines the amount of scholarship they will be eligible for. The scholarship consists of the basic expenses the students will incur during their chosen program. For the duration of this program, students will spend 2-weeks in Shanghai working with financial companies. All the basic expenses for students’ time in Shanghai will be covered (host families and meals are arranged). The only expense incurred by students will be their flight ticket and travel insurance. Each student will be allocated approximately 10,000 RMB, and the money will be paid to relevant parties. During the exchange program, students will spend two and a half weeks in Shanghai, China. 10 days of this programme will be spent studying with WLSA Fudan students, and 4 days of sightseeing in this exciting city. All the basic expenses in Shanghai will be covered (host families and meals are arranged). The only expense incurred by students will be their flight ticket and travel insurance. Students will spend 3 months in Shanghai, studying at WLSA Fudan Academy. 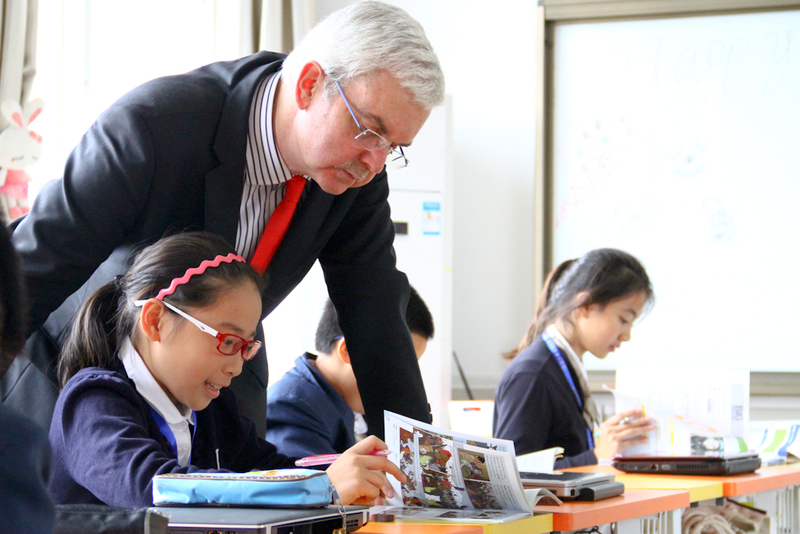 Students are immersed into a new culture and experience the everyday life of a secondary student in Shanghai. The only expense incurred by students will be their flight ticket and travel insurance. Housing will be arranged, and students will be given a monthly allowance of 2,800 RMB. Expenses incurred outside the allowance are the responsibility of the student. Students will be given the opportunity to attend the WLSA Student Conference in July. The Student Conference brings WLSA associate school students from around the world together to learn and grow through workshops, cultural experiences, sports, community engagement and much, much more! The conference fee and boarding fee will be covered. In students expressing strong financial support, discussion of covering airfare is an option. The Tony Little Scholarship was launched and named after Tony Little, the former principal of Eton College of UK and the current chairman of WLSA Charitable Foundation HK.